Ceviche Mixto: catch of the day, calamari, shrimp, scallops, cilantro, onion, rocoto, lime juice. Ceviche de Coco: ahi tuna, lime, coconut juice, rocoto, scallions, cashews, jicama, fresno chile. Ceviche Pasion: salmon, passion fruit, red onion, yellow pepper, cilantro, purple corn. I love getting the trio (or quarto) at Fresca because you get to try a variety of their ceviches and the price is great. This time around, I really liked the mixto. It’s the most traditional one, but I really just liked the flavors. 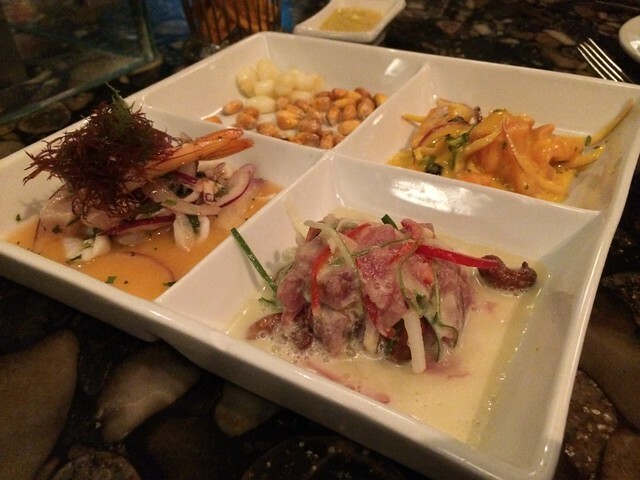 I was surprised by the ceviche passion with it’s passion fruit dressing. It tasted pretty good! 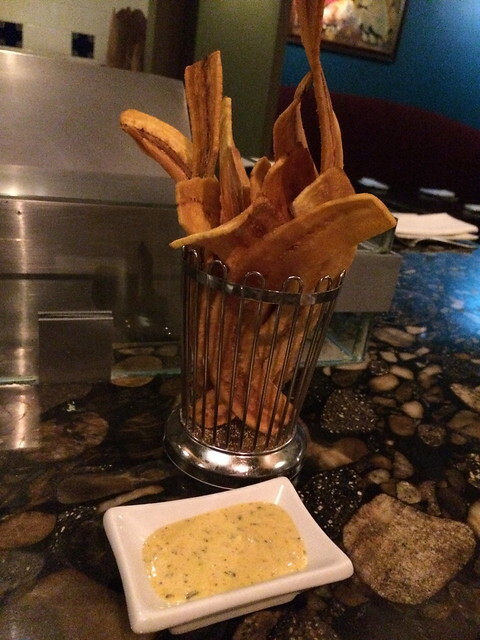 I think it’s kinda lame that you have to pay for plantain chips. They should just give you less and make it complimentary. This entry was posted in Fresca, Restaurant and tagged food, lime, salmon, seafood, shrimp, squid, tuna by vicentesf. Bookmark the permalink. Oh please. 16 bones for a ceviche trio and you complain about a big pile of plantain chips for 5 bucks? Sorry but all I can get for $5 is some “tri color” tortilla chips and some mediocre salsa. Sorry I am just envious. Bon appetite !